The state outline map to the right shows Colorado highlighted in red. The State of Colorado is bounded by Wyoming on the north, by New Mexico on the south, by Kansas on the east, and by Utah on the west. It is bounded by Nebraska on the northeast, and by Oklahoma on the southeast. Colorado is the 8th largest state in the United States, and its land area is 103,718 square miles (268,630 square kilometers). Colorado's 63 county names draw from its diverse heritage; Native American is represented by Arapahoe and Cheyenne, Spanish by Mesa and El Paso, and English by Fremont and Kit Carson. This Colorado map site features road maps, topographical maps, and relief maps of Colorado. The detailed, scrollable road map displays Colorado counties, cities, and towns as well as Interstate, U.S., and Colorado state highways. The pannable, scalable Colorado street map can be zoomed in to show local streets and detailed imagery. to view a scalable Colorado road map. The detailed Colorado map and the regional Colorado map display cities, roads, rivers, and lakes as well as terrain features. The detailed map shows only the State of Colorado, while the regional map shows Colorado and the surrounding region. Colorado's capital city is Denver. Other major cities in Colorado include Colorado Springs, Aurora, Lakewood, Fort Collins, Pueblo and Westminster. In 2005, the population of Colorado was estimated at 4,663,295, which is about 45.0 people per square mile. In 2010, Colorado's population rose to 5,029,196 people. The state's Interstate Highways include I-25, I-70, and I-76. The name Colorado is derived from a Spanish word meaning "red". The average elevation in Colorado is 6,800 feet, highest in the USA, and many 10,000 foot peaks lie within its borders. The Rocky Mountains range over the western half of the state, while the Great Plains occupy the eastern third. The state's major rivers are the Colorado, the Rio Grande, the South Platte, and the Arkansas. Visitors come to ski at Vail, Aspen, and other popular ski resorts, and also to enjoy scenic destinations like Mesa Verde and Rocky Mountain National Parks. For additional Colorado travel and tourism information, visit the official Colorado tourism site and Colorado Atlas. This online Colorado reference map shows major cities, roads, railroads, and physical features in Colorado. 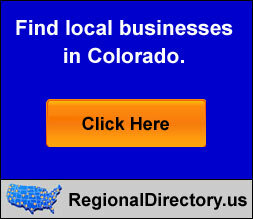 Several map publishing companies offer printed maps of Colorado. For example, Omni Resources offers several maps of Colorado that feature points of interest, airports, and parks, as well as selected local attractions and insets of major Colorado cities. Colorado-Map.org Editor, State Maps, PO Box 775, Barnegat, NJ 08005.